She is one righteous broad! Can't wait till the hubby finishes this one so I can start it next. A Clash of Kings left me needing to know more! Me either! So many things! Oh, Lisa. I hate/love you. Why? BECAUSE OMG. The other day I was screwing around on Amazon and thinking about Game Of Thrones the show and the book and I put Clash of Kings in my cart. And it's just sitting there. And I'm like I shouldn't buy this until I read and get rid of x-amount of books. And I still haven't yet. 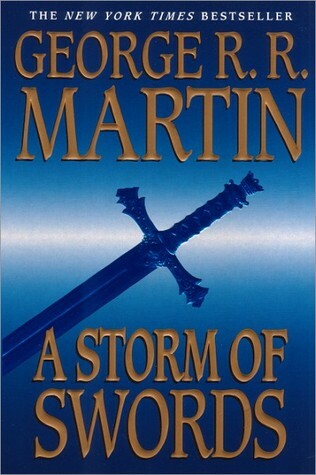 AND THEN TODAY this review of Storm of Swords pops up and I read it and I'm like OH YEAH THAT CHARACTER. Then I'm like holy mother cuss I need to buy Clash Of Kings, since what kind of weirdo owns the 1st and 3rd book, but not the 2nd? PRESSURE. That's why I hate love you, because I feel pressure to buy and read Clash of Kings. I have no idea why I care so much about how you will react to situation in these books, other than I very much enjoy your writing, but I am looking forward to the next few weeks.